Have you ever imagined having a turn key system that would make you money automatically? Something that has been used in the internet marketing scene for 5 years now? Patric Chen claims to provide CB Passive Income 4.0 as an income generating system, Patric also claims his program will make you money on autopilot, with only one requirement from you; generate traffic. Patric claims to teach you how to do that too! in my CB passive income 4.0 review, I’m going to show you what exactly this crazy, autopilot system is, and who its truly for. 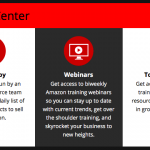 I’ll then highlight some tools and resources you’ll receive by signing up as a member, as well as taking a quick look at the training you’ll have access to. I will also look at the support systems that are in place to help you get the most out of the product. If we think about it in the most simplistic terms possible, Patric has created a bunch of squeeze pages for users to clone, and push traffic through to. Your traffic is then funneled through to another page where visitors emails are capture through the offering of free products. In theory this sounds quite plausible but we will see if theory and realism collide a little later in my CB Passive Income 4.o review. 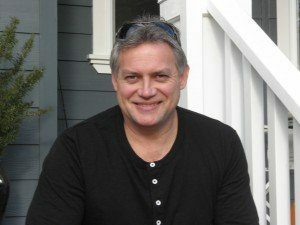 Patric and his team then use these captured email subscriptions to push profitable products through to their new email subscribers, and any commissions made are instantly yours. Sounds fairly simple! Patric has allowed members to clone web pages that he claims to be “exclusive” to only his members, that includes all product promotions, and email marketing. 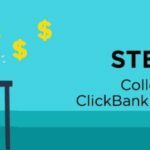 Patric utilizes Clickbank, and pushes all promotions from Clickbank as he firmly believes this is the best way to go. After all, Clickbank offers on average 40 – 50% commission paid from sales related to digital products online. Your first step after signing up would be to create a Click Bank affiliate account which is free to do, I actually have one and have sold quite a few Click Bank products over the years. 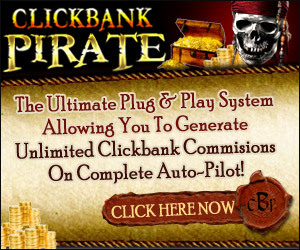 Once you have a click Bank affiliate id you then enter your Clickbank information into the CB Passive Income dashboard. You then get to choose which page of Patrics that you would like to clone. From there you would jump into the training on how to properly promote and generate traffic through to the cloned web page. As traffic starts flowing, Patric and his team with capture those email addresses and start sending promotional emails. 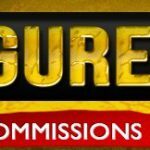 Any commissions made are yours for life! Because Patric claims to give ideal training, and promises an almost complete autopilot system, which I might add I have never come across a complete auto pilot system after years of reviewing programs that claim income on auto pilot. The program is geared for any experience level ranging from intermediate to experienced. The training is meant to be easy and step by step for those who are not experienced within the internet marketing field. What Tools And Resources Are Available After Signing Up? It’s a fairly straight forward process to get your membership with CB Passive Income 4.0. You’ll get your choice of a clone web page, all ready to go with unique links, and all other tools, including domain costs and hosting fees. They will constantly keep your web page updated, and show you the valuable products they are promoting to your subscribers. From this, the idea is that once you generate traffic you should start to see a steady stream of income. Patric creates the content, and does all the research for new products, creates the new marketing campaigns and promotes these offers for you through your cloned site. Your given Patrics training that is delivered through video and PDF manuals, that will teach you to generate traffic. Everything else such as autoresponders, hosting, domain names are all included. You shouldn’t have to invest anything more than the membership fee for CB Passive Income. Your only job is to generate traffic. As I mentioned above, Patrics training is step-by-step and shows you numerous ways to generate traffic to his cloned web page. All the training is shared between videos and PDF manuals and is designed to be very easy to follow. What Kind Of Support Do You Get With CB Passive Income 4.0? I do like that Patric hosts monthly Q&A training calls live. These calls are meant to help members ask questions and look for direction when they are having difficulties. Other than his monthly calls, support is very generic through email and support tickets. I feel that this is one important area that this offer could improve. Anyone trying to learn how to make money online can attest that support is the key to finding any type of success online. This offer would benefit from having its own in house forum. If I Wanted To Join, How Much Would It Cost? As many of these types of programs show, you’ll get a discounted rate from what would have been “originally” offered. It’s referred to as down selling in the internet marketing industry. You can pay a one-time payment of $497, which used to be yearly but has recently switched to a lifetime membership and one-time payment. With this option you get the bonus of having the Inbox Pro feature, which enables you to automatically add your leads to your own autoresponder. What I Liked About The Program! I do like that Patric offers a 100% guaranteed 30-day money back offer, this actually comes with any Click Bank product. This makes it easy for those who maybe want to give it a try, and not feel cornered into a program they don’t like, just remember if you do to get your refund processed well before the cut off. I also like the idea of monthly live Q&A session with Patric himself, that come as prerecorded if you end up missing it. This is a great opportunity to ask personal questions about the struggles you’re having if you are live and Patric is able to help right then and there. It makes his program seem a lot less scam like when you’re talking one-on-one with him. It also takes a lot of time from his schedule to do, and shows some commitment to the product on his side. On the other end of the scale I like forums where you can get immediate answers to your questions, having to wait to talk to Patric could be the difference between success and failure. On the surface CB Passive income sound very legitimate but there are a few things that make my spidey senses tingle. There is so much emphasis put on the content that Patric builds for you which makes an experienced marketer like myself start to ask some questions. If everyone has access to the same content which is getting posted on search engines such as Google makes me wonder how they are getting away with this. Duplicate content which Patric’s cloned websites would all have is a complete no no in Googles eyes, and they routinely penalize these clone sites with basement rankings where no one would ever see these sites and their offers. When you look at this one aspect it makes me question the actual success of an offer like CB Passive Income. Support – this is where this program really loses me, I can tell you from experience that support is critical to your success and I don’t see an investment in support when it comes to the CB Passive Income 4.0 offer. You need an in house support mechanism, not an out sourced support system. Having access to Patric is nice but only once a month isn’t enough, if you miss this opportunity you miss out! Yes you can get access to a taped version but that might not answer your questions. Lastly, If you ask any affiliate marketer out there what the hardest part of internet marketing is, they will respond 90% of the time with ” traffic generation” which is the part you are left to handle on your own. It’s great that Patric is able to do everything else for you, but he leaves the hardest part up to you. It is pitched as fairly simple to get people to your site, which isn’t the case at all. Systems that focus on cold emailing have extremely low conversion rates. Unfortunately, this is exactly what Patric is doing and teaching his team. If you choose to join Patric and his team, don’t expect a lot of income in my opinion. if any at all. Click Bank, the market place that Patric uses is notorious in a good way if you are a buyer, for giving refunds. As an affiliate you will find what looks like a good month in sales is quickly clawed back through refunds. Check Out The Money Making Program I Recommend Here! Although Patric may be real, and somewhat successful is some of his ventures, I wouldn’t highly suggest anyone try his CB Passive Income system. I don’t think Patric is trying to scam anyone by any means, I just don’t think his system in my opinion will produce the results you are looking for, especially if you are in charge of the traffic generation component. The system plays on the concept of taking the “hard” work out of it, and creating a system even the newest affiliate marketer can get behind and be successful with. I just don’t believe this is the system has the ability to do that. Having a web page that potentially hundreds of others may have isn’t a new concept, there are many programs with this trait and I can tell you they don’t have a high success rate. I hope you got what you were looking for out of this CB Passive Income 4.0 review. If you have any comments or experiences with this offer please leave your comments and questions below and I will get back to you as soon as possible. 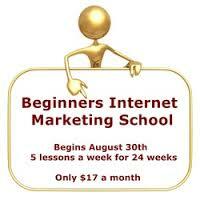 Beginners Internet Marketing School – A School Or A Scam?